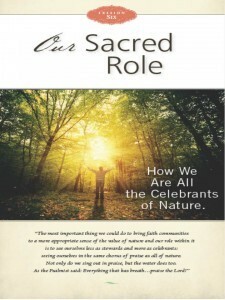 Sacred Place Sacred Role- A Great Study for your Church! 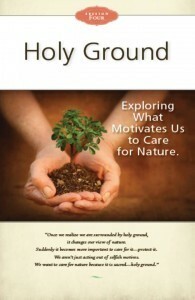 Home/Sacred Place Sacred Role- A Great Study for your Church! This six week study brings the teachings of science and faith together to address one of the major ways we imagine our human place in nature: that of being the Stewards of Nature. 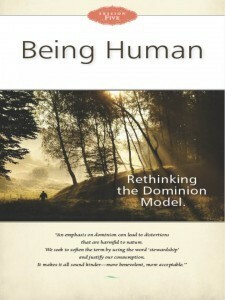 This study addresses the problems with that idea, and presents new images of our rightful place in creation. This curriculum package offers the book Sacred Place, Sacred Role, a Teacher’s Guide, Student Workbooks, and a DVD that includes author introductions to each session, and interviews with leading scientists, theologians and philosophers. In addition, the series now offers full 30 minute videos that accompany each session. Teachers can choose to teach the class, or use it as a complete video/discussion course. All of the tools are in your hand! Session One lays out the basic question of this series, of whether there is a better way to view our human relationship with nature than the current “creation stewardship” model. 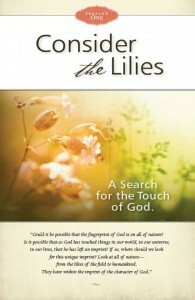 We then move to follow the instruction of Jesus to “consider the lilies” as we look for clues of God’s fingerprint in nature. 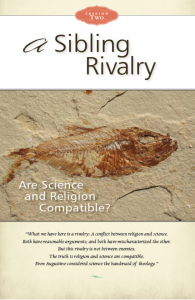 Session Two explores the historical conflict between religion and science, and shows evidence that in many ways, this conflict has been inflated with groundless accusations. We seek to chart a new course for the sake of our world and our future generations. Session Three seeks to offer a model for building needed bridges between science and religion in order to answer the questions of who we are as human beings and what our relationship is to the rest of nature. 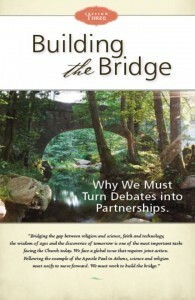 Utilizing the example of the Apostle Paul as he visited the ancient city of Athens, we discover important steps in turning debates into bridges. Session Four explores the meaning of sacredness, and applies it to nature. It asks and answers two related questions: What is the nature of sacredness? and What is the sacredness of nature? Just as Moses was instructed to take off his shoes because he was standing on Holy Ground, the realization that nature is sacred requires special action on our part as well. Session Five brings our tools of science to the table to test the idea that humans are the stewards of nature. When we line up lessons that science has clearly taught us with this theological idea of what it means to be human, it becomes clear that we need to humble ourselves, and rethink our place in nature. It is at once humbling, and at the same time, quite liberating! Session Six explores and unpacks our new image for the role of humans in nature. Bringing the discoveries of science and some ancient thoughts of Scripture and liturgical patterns together, we discover an exciting connection between God, nature, and us. It’s time to Celebrate! For details on the ordering process, click here. To read testimonials and reviews, click here.